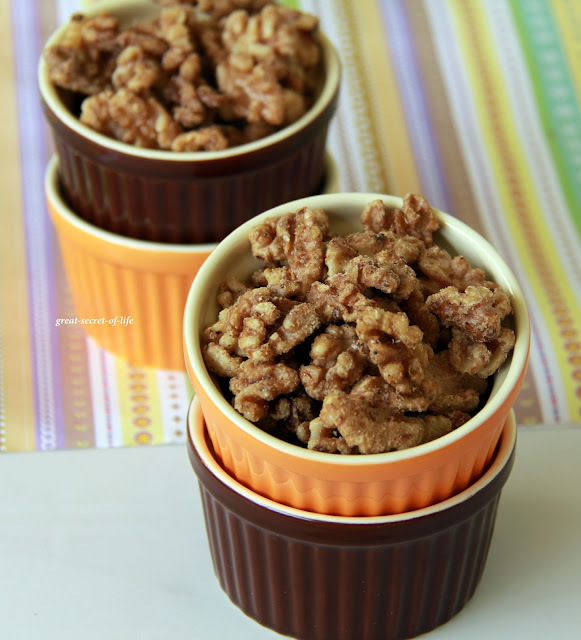 I must admit these days I am on a walnut spree. My son love it. Even though raw nuts are good for health I like have masala nuts now and then. This is perfect combo. I love every bite of it. This is perfect to be added in salad or good snack by itself. 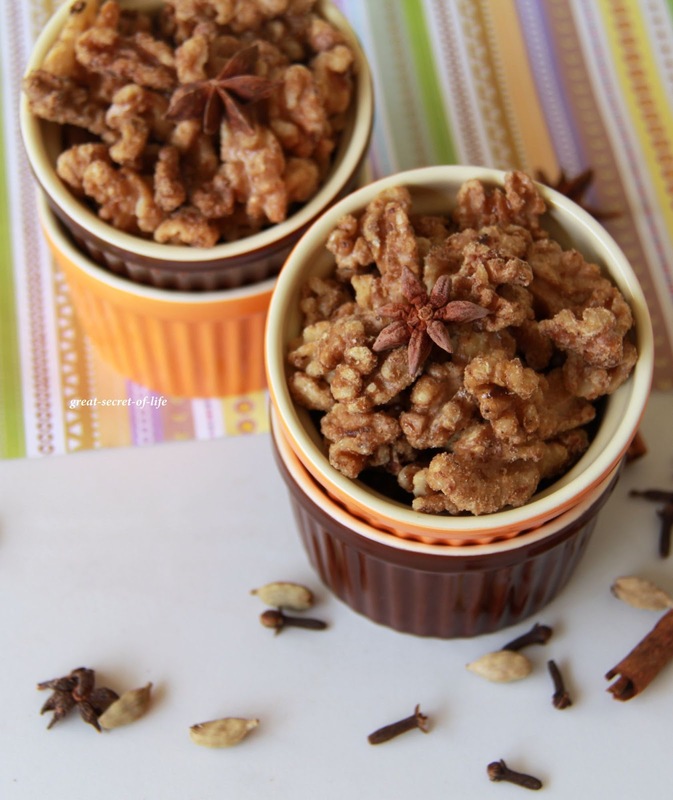 I find it hard to stop eating walnuts when it is spiced. Heat the kada again add maple syrup and garam masala and mix well. 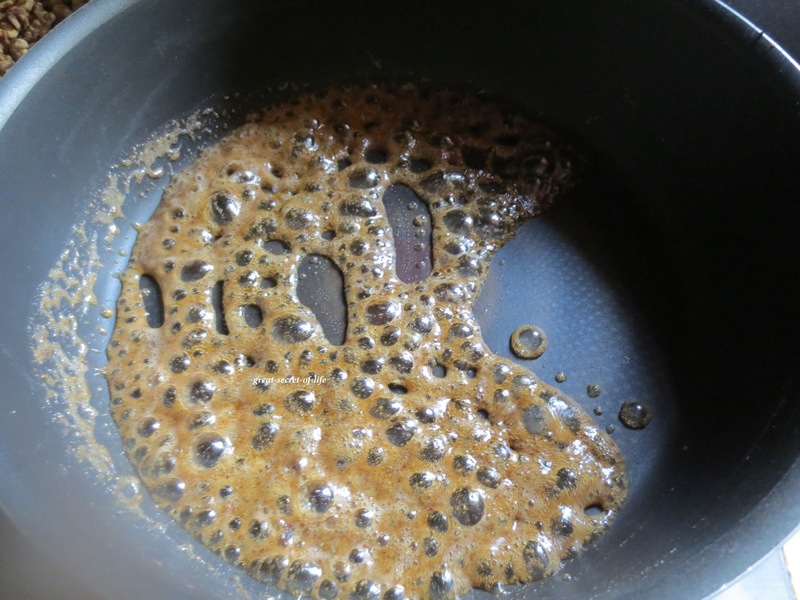 Boil till bubble appears. 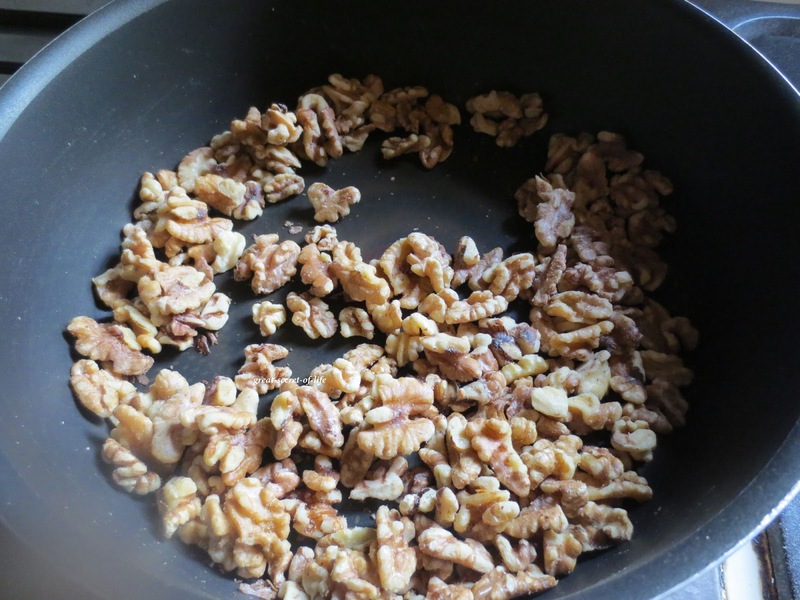 Add roasted walnuts. 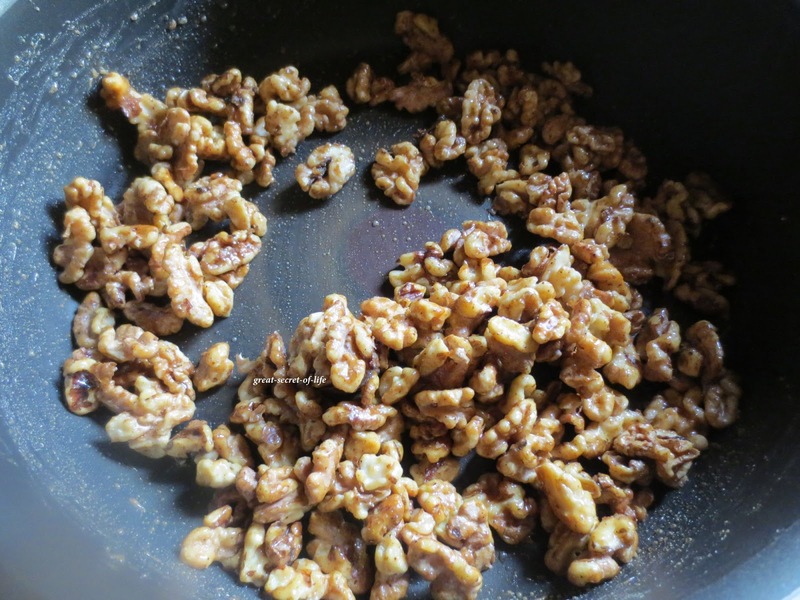 Fry till the walnuts are coated with maple syrup and spices, scrape them onto a plate to cool. 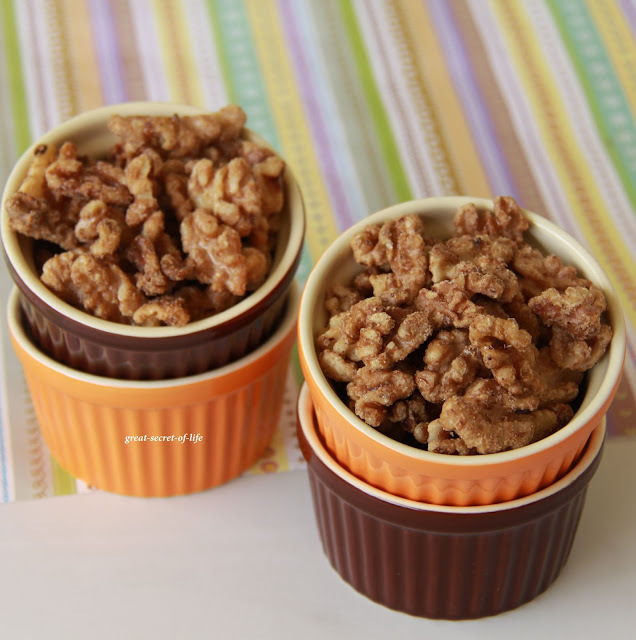 Store it in the airtight container and enjoy as a snack or on salads. 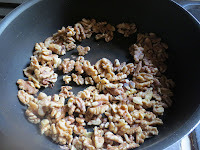 love walnuts..tried masala peanuts but this is something new to me..
love this spicy n crunchy snack..nice idea! 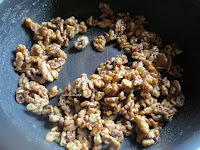 yup..spiced walnuts are irresistable..i make them in the oven..pan method is new to me. 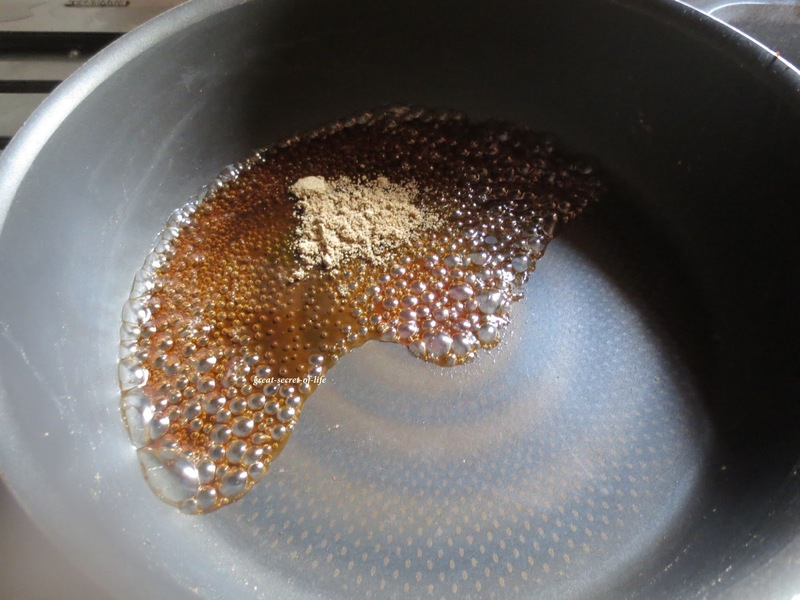 did u use original maple syrup or the maple flavaoured syrup??? i sometimes add egg whites, chilly pwd and salt to it. 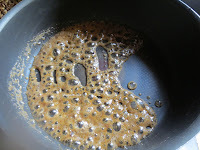 It increases the crunchiness..will try and see ur method as well. looks delish..
That's something new to me.. A spicy way to enjoy walnuts !